This could be the End…. or the Beginning…. Well, for this discipline, everyone knows China has undisputedly high chance (if not absolute) to win the gold medal. Correction, what I mean is, they have high chance to win all the medals. My favorite is Wang Yihan. Not because she is the number one player in the world now, but if you watched the Uber Cup final, you would be convinced too… Being someone who was said to be weak mentally when it comes to big events, she has gone through a lot of difficulties and pressure and finally proven herself that that she deserves the number one title. I am usually against all China players, but this girl own my respect. And I will root for her…. Though it will be nice to see the Korean rising star, Sung Ji Hyun to deliver a good fight again…. Personally hope that some non-Chinese players like Ji Hyun, Saina Nehwal, Tine Baun can steal at least a medal in the OG. Ours? Well….. can’t really dream of a repeat like what Maria Kristin did 4 years ago. Dreaming only is already too wild, I think I could pass out if that really happens. Simon Santoso won the final today, and for the first time won a major title (Premier). Having said so, I don’t think he will win the gold medal in Men’s Singles. Well, being realistic, unless if Lee Chong Wei is still injured or Lin Dan decided to flop again like what he did 2 OGs ago and Chen Long suddenly couldn’t cope with the pressure, then maybe, probably he will be up there on the champions’ podium. Sad for Simon though…. Being only 3 years younger than Taufik Hidayat, he has always been like a Bao Chun Lai to Lin Dan or being a bit harsh, a Chen Jin to the China team. Has never reached the top, can’t remember if he was ever close to it. And what is even sadder, having a higher rank than Taufik, he is still regarded as an inferior to the Indonesian golden boy. It is a very good thing that he finally won a title, and I’m happy for him. I think he deserves it, the country deserves it. But I’m afraid, that title would be the first and the last prestigious title for him. But it will be interesting to see his response after his first win. 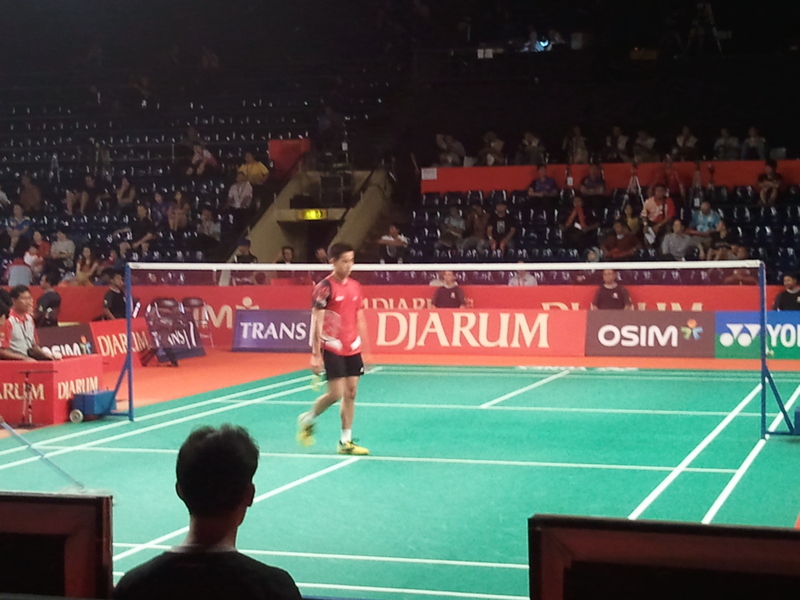 Other than that, Lin Dan for the winner…. If he wins it, will he be the first man to do that in Men’s Singles? Hmm…. Have to check the record for that. Do we need to talk about this? China. 99.9%. See, I’m still generous to give 0.1% for special surprise. Do you want to raise the bet a lil bit? China gold and China silver. Wang Xiao Li, Yu Yang and Tian Qing, Zhao Yun Lei. The two pairs are too hard to beat. The first pair have extremely powerful smashes compared to normal women. So powerful that I started to think that our one and only representative for Men’s Doubles in this OG would have been easily beaten by them in a real tournament. Yu Yang is one of the best net players in the world, and Wang Xiao Li… well, let’s say that you don’t want to be on the opposite side of the court having to receive her deadly shots. The second pair, well….. probably the only pair that can beat them is their compatriots. Enough said. Our chance? Hmmm…. To be fair, Greysia Polii and Meiliana Jauhari showed great performance yesterday, especially Greys…. She showed what a great player she is in front of the net, but unfortunately that was not enough. Meiliana while having powerful smashes, couldn’t be compared to the Chinese’s smashes. You need a much faster and steeper and more powerful smashes to be able to break the Chinese’s defense. So, I will be more than happy if they can put up a good fight like yesterday. Well, a medal will be an even nicer surprise. But, well…. It’s hard…. It just is…..
We used to be very good at producing great Men’s Doubles players. Ricky/Rexy, Chandra/Sigit, Chandra/Tony, Flandy/Eng Hian, Kido/Hendra and all other pairs who were also very good but I couldn’t remember because there were just too many of them. Oh, I remember some of them, Denny Kantono and someone…. Bambang Suprianto and someone…. Well, there were many….. Hint hint…. I used past tense for that. While Kido/Hendra did not qualify for the London OG, due to a lot of injuries problems suffered by both of them, their juniors could not lift up the country’s hope. Bona/Ahsan, oh gosh….. should I say the worst “best” Indonesia’s men’s doubles pair ever. The fact that they have the highest rank compared to other Indonesian pairs, it worries me so much. And I believe, it worries every Indonesian who realizes that. Like I said, if they were up against Wang Xiao Li/Yu Yang, I would still bet on the Chinese to win. In every great pair, there is a mastermind, the playmaker. Kido/Hendra have Hendra as the playmaker, he is smart, quick at the net, having vision to turn pressurized moments to chance to attack and without doubt, one of the best at his prime. Then, Kido is also a tricky player. An entertainer that has all kind of shots, despite his physical build, his smashes are deadly, and his jump….. WOW. Cai Yun/Fu Hai Feng have Cai Yun as the brain and Fu as the big hitter. Ricky/Rexy, well…. Both were great. Rexy was probably the best men’s doubles player the world ever witnessed. The thing is, this Bona/Ahsan don’t have the brain. Ahsan has big smashes, but you can’t just rely on those shots every time. All other pairs also have good defense, take for example, the Koreans…. Not even Fu’s big hit can penetrate the Koreans’ defense…. You need tricky shots, all fancy shots, great defense that can turn smash into a chance to attack. They just don’t have it. Goddddd!!!! I really hope we can drop them and subs them with Kido/Hendra instead. Though I still don’t think they have a high chance to repeat their success in the previous OG, but still, at least they can give a good fight, like yesterday. Three games against the Koreans in Indonesia Open Semi Final. Favorite to win the OG? I’d say the Koreans have a slightly better chance…. Jung Jae Sung/Lee Yong Dae. Dream final? Cai/Fu vs Jung/Lee. Let’s hope all of them are fit for the real fight. I watched the video recording of All England Final 2012, and Godddd!!!!! It was a GREAT 3 games final, no way our pair can deliver such a fight. A medal? Well…. let’s say that seeing them in quarter final is already good enough, depends on the drawing…. We should’ve won today’s final, but we did not…. However, I should say, I am relieved…. Why? I’ve always thought that there is a first for everything, and Towi/Butet had never been beaten by this Thai pair, until today… it could be a blessing in disguise. People say that yesterday match was the real final, well I should say even though they won it, it didn’t convince me. They won because Xu Chen did a lot of silly mistakes. Who can assure you that he will do the same mistakes again in the OG? As I said before, in doubles you need at least one genius and one real athlete. Three previous Indo best mixed doubles, Trikus/Minarti, Flandy/Vita, Nova/Butet all satisfied this condition. Trikus was a very tricky player. I remember watching him did all kind of unbelievable shots. Minarti was also superb, though to be honest I was too young to understand. Vita is a genius (who often made unforced errors). Her drop shots were beautiful, and her smash was also quite powerful. Her defensive shots created chances. Flandy too, a very skillfull player. One of the best left handed player Indo ever had. He did not only rely on big hits, but also placements and all unexpected shots. Nova? No question on that one. While he often made errors (maybe that was why he and Vita were not a right combination), he had the trickiest mind and shots. His style was a bit defensive, you would not see him jumping around and smashing like crazy, rather he would treat you with beautiful game plan, one of the best serve-return shots, backhand smashes, backhand defensive shots and deceptive cross court shots. He enjoyed some prestigious titles with Liliyana Natsir (Butet), and now serving as an assistant coach under Richard Mainaky. They were a great pair, Butet with her consistency and one of the best badminton player in defense department brought balance to the pair. Silver medal in last OG beaten by Lee Yong Dae/Lee Hyo Jung in the final. Her current partner, Tontowi Ahmad, despite of being younger and faster on court, in my opinion is still not a match to Nova. Towi has only one weapon: smash, oh and probably one more: quick feet. When those don’t work (like today), they are doomed. This pair doesn’t have the ability to change the momentum. Butet, like I said, a consistent player, a reliable one… But she will be great if she is to be paired up with a genius, like Nova. This pair adapts a more offensive style, since Towi has great smashes, but the problem is what if you have no chance to attack? To be able to create one, you must have a great net player. This task is usually done by the women. Butet, being paired up with Nova for a very long time, was never a net player. That was because Nova often went to the front of the court by himself and Butet just filled up the gaps with great defense. Yes, I can see that she has now improved a lot in front of the net. A year ago, I wouldn’t have thought that she could beat Ma Jin at the net, but she did it yesterday. She played a superb game, was there up front, face to face with Ma Jin and was totally awake for the whole match to defend her territory from Xu Chen’s big smashes. But that is the problem…. She will need to repeat that kind of performance to win the OG. She did it yesterday, and one could see, she was exhausted tonight in the final. It is not easy to repeat that kind of performance, and it is even harder to maintain it for the whole tournament. Good if that happens in final, if it happens earlier, she will be drained in the next match. That’s why, the man must balance it up and cover for the woman. That did not happen yesterday, that did not happen today. The pair doesn’t have a pilot to steer the wheel into the right direction. They got sucked up to opponents’ game plan and lost. Competitors? A lot! Zhang Nan/Zhao Yun Lei, one knows Zhao Yun Lei is an excellent player, Xu Chen/Ma Jin, big hitter and excellent net player, Joachim Fischer Nielsen/Christina Pedersen, one Joachim can take all pairs by himself, a genius playmaker. And there are also other pairs like Lee Yong Dae/Ha Jung Eun, Saralee/Sudket, Laybourn/Juhl, Adcock/Bankier. Favorite? Hmmm…. Hard to predict. The last one year they all took turn to win the title. Zhao Yun Lei and Lee Yong Dae have to split their focus in women’s and men’s doubles too, so I would say if both progress far in their other departments, the more fav pairs will be Joachim/Christina, Xu/Ma, and ours. Obviously I don’t wish to see all Chinese final in this discipline…. Richard Mainaky must now work hard to give the final touch to Towi/Butet. Perhaps Nova can help in teaching Towi all his weird shots…..
We all need to prepare ourselves…. 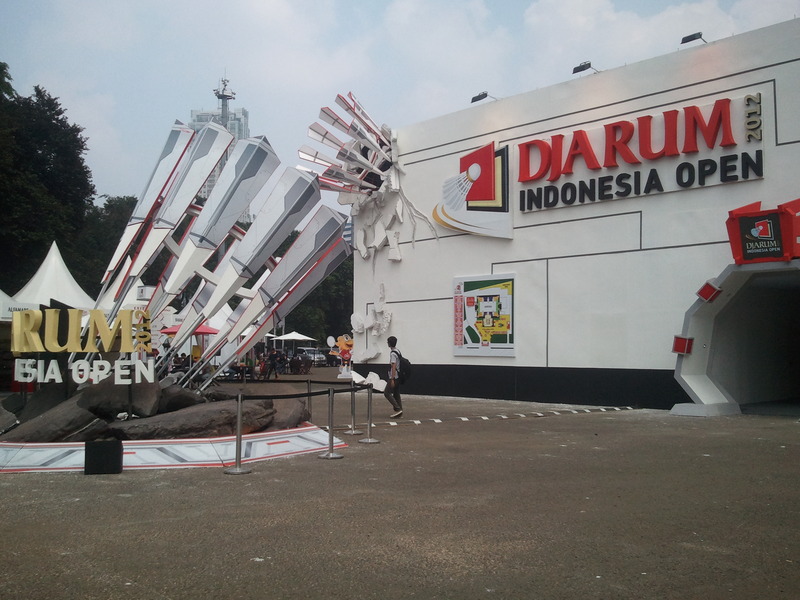 The gold tradition may come to an end this year….. as an Indonesian, it is sad to realize it. But the good part is when one is already fallen, there is only one way to continue the journey, it is to go up! All the best for all the athletes! Our prayers be with you….